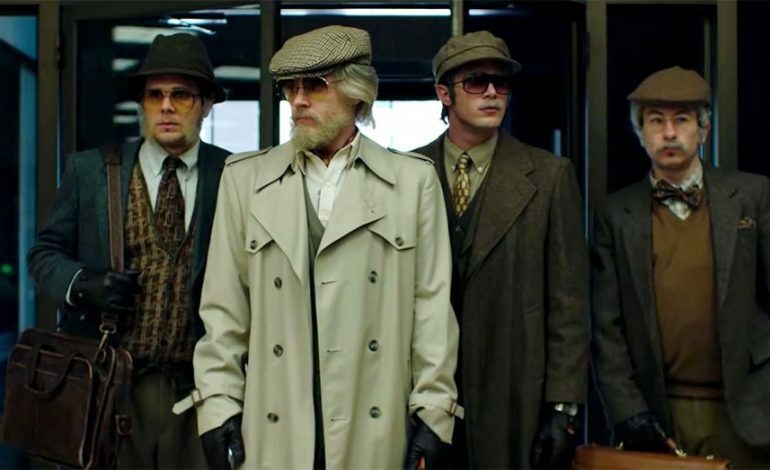 The new trailer for the crime drama American Animals from director Bart Layton has dropped. The film – which stars Evan Peters (American Horror Story, X-Men), Barry Keoghan, Blake Jenner, and Jared Abrahamson – tells the true story of two college students in Kentucky who recruit their friends to steal rare books from special collections at the Transylvania University library. Judging by the trailer, the film seems to lavish in grimy college party scenes, indulge in youthful suburban ennui, and celebrate a kind of silliness – marked by the slightly hilarious makeup and costumes donned by the thieves – that adds an additional spin to the literary-themed heist. American Animals is set to be released on June 1 by The Orchard.